The Los Angeles Radio Reading Service is a project of Community Partners, a local non–profit corporation. LARRS is coordinated by people who are blind or who have worked in the field of broadcasting. LIVE RADIO BROADCASTING FOR THE BLIND OR PRINT IMPAIRED IN L.A. In the Los Angeles area alone, there are about 140,000 individuals who have visual impairments. If you were blind, visually impaired, physically unable to turn a page, or a senior citizen with an age–related print disability, how would you stay informed? Without timely news, opinions, events listings, consumer information, and community service reports from printed sources, it is nearly impossible for people who are print impaired to be fully participating citizens. This is why The Los Angeles Radio Reading Service was created. LARRS meets this need for information by providing daily radio/internet broadcasts of newspapers, magazines, ads and books, enabling our listeners to be aware of local events, election information, back–page stories, grocery and department store ads, sports pages, and even Dear Abby and the comics. The Los Angeles Radio Reading Service broadcasts 24 hours a day, 7 days a week on the sub–carrier frequency of 88.5 FM. Reception of the signal requires a special radio which may be obtained from LARRS. To help meet the need of blind and visually impaired persons on a global scale, LARRS volunteers continue to provide a live audio programming stream on the world wide web which is available through this website. 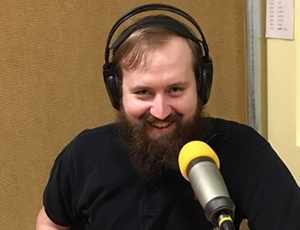 Founded by Rick Boggs, Audio Eyes is a partnership of audio engineers, producers, accessibility experts, and audio describers who are passionate about providing high quality services in a creative, inclusive work environment. Audio Eyes’ production team has more than a decade of experience providing live audio description in theatres as well as recorded audio description (a.k.a. video description) for broadcast television networks and nationally distributed DVDs. Audio Eyes engineers and producers have delivered video description for broadcast television networks including ABC Television, and FOX Television, as well as numerous government agencies, and private entities, including the California Secretary of State, the U.S. Department of Defense, the Internal Revenue Service, the National Parks Service. Additionally, they have extensive experience producing audio dramas, audio books, music, radio programs, radio ads, and a variety of business–to–business audio products. The Audio Eyes progressive work environment, inclusive hiring practices, and technical expertise keep the company at the leading edge of the accessible media production industry. Tune in on Wednesdays from 7 – 8pm to KPFK’s award–winning Access Unlimited radio program. The show deals exclusively with issues concerning disability, those working in the field, those with disabilities, family, friends, or those who are interested in learning more about persons with disabilities. In short, all of us. The program is hosted by USC Psychologist Henry Slucki, Shawn Casey O’ Brien, Founder of The Unique People’s Voting Project, and Jolie Mason, Founder and Executive Director of LARRS. The Goal? Keeping people in touch with non–profits dealing with disabilities, promoting political events of concern for those with disabilities, and reviewing technology that can be used to overcome the obstacles of disability. Live in–studio guests are regularly featured and lively discissions are commonplace. KPFK (90.7 FM) is a listener–sponsored radio station based in North Hollywood, California, United States, which serves the Greater Los Angeles Area, and also streams 24 hours a day via the Internet. It was the second of five stations in the non–commercial, listener–sponsored Pacifica Radio network. KPFK began broadcasting in April 1959, twelve years after the Pacifica Foundation was created by pacifist Lewis Hill, and ten years after the network’s flagship station, KPFA, was founded in Berkeley, CA. 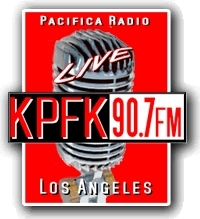 KPFK also broadcasts on KPFK–FM1 along the Malibu coast, K258BS (99.5 MHz FM) in China Lake, California, K254AH (98.7 MHz FM) in Santa Barbara, California. 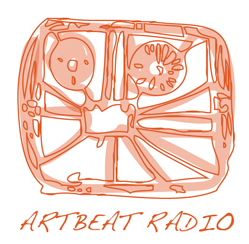 ArtBeat Radio provides an arena in which ASD students can share their works and talents with the large audience offered by Access Unlimited and Los Angeles Radio Reading Service (LARRS). The collaboration between these two radio programs is made possible by a partnership with Jolie Mason, Director of the Los Angeles Radio Reading Service and radio host and co–producer on Access Unlimited. Both radio programs exist to serve and advocate for the disabled community. ASD students will gain experience in the elements of radio: working with people, understanding the systems of a radio station, guest selection, interviewing techniques, serving as a radio host, music creation, poetry writing and reading, answering audience questions, and operating all of the associated radio equipment. At the culmination of the project in June 2010, our students received a stipend of $200 for their participation as radio interns. ArtBeat Radio provides ASD students several off–site visits to LARRS and KPFK radio stations to learn how a radio station works and the job skills required to work in the radio field. In addition, students will create an original radio show created around their interests and skills that will be aired on the radio shows “Access Unlimited” and “Listening for Greatness.” ArtBeat Radio is the most innovative and challenging workforce opportunity available in Los Angeles for persons with developmental disabilities. The mission of the American Council of the Blind’s Audio Description Project (ADP) is to boost levels of description activity and disseminate information on that work throughout the nation. ACB’s goals are to sponsor a broad range of activities designed to build awareness of audio description among the general public as well as its principal users, people who are blind or have low vision. The American Council of the Blind (ACB) was founded in 1961 but many of its state affiliates and local chapters have a history that can be traced back to the 1880s. Since its inception, ACB and its affiliates have been at the forefront of the creation of policies that have shaped the opportunities that are now available to people with disabilities in our country. ACB has also effectively collaborated with Vision Rehabilitation Service providers to develop the principles and values that should be at the heart of providing adjustment and placement services to people who are blind. IAAIS is a worldwide organization of over a hundred independent Audio Information Services which provide printed material in audio form. In almost all cases, these services are provided free of charge. IAAIS assists and encourages the formation of Audio Information Services. They’ve consulted with or had member services from South Africa, Japan, New Zealand and Canada. We’ve sent representatives to AIS–development workshops in Jamaica, Mexico, Costa Rica and Panama. IAAIS works with the FCC to advocate for our print–impaired audience, and they’ve worked with Ibiquity and National Public Radio in the development of new digital technology that expands the capabilities of HD Radio to serve the needs of the blind. Information can help provide personal independence, and one way of providing printed information to those who cannot read is via Audio Information Services. Volunteer readers and computer speech can read daily newspapers, magazines and best–selling books to thousands of people at a time at low cost. Services can include closed–circuit radio broadcasts, dial–in telephone newspaper systems, personal recording and internet broadcasting and program archives.